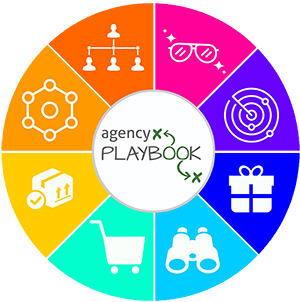 Looking for ways to generate more new agency business? 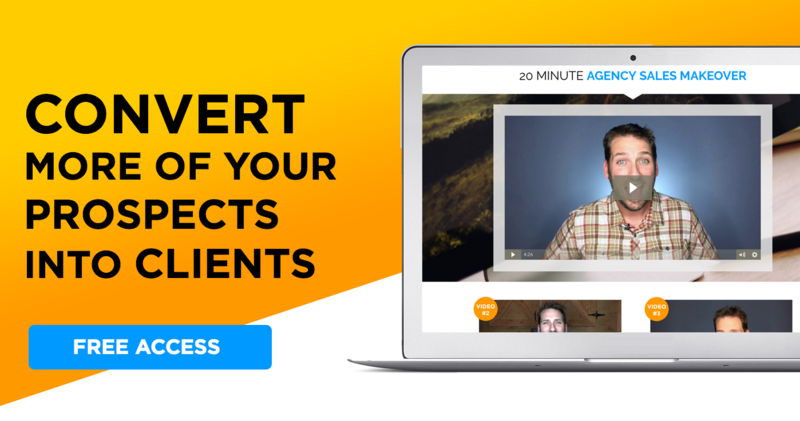 Tired of watching your competition grow and want to set your agency apart from the pack? Now is the time to be a front-runner with the cutting edge technology of chatbots. You can use chatbots to generate new business and as an add-on service for your clients. It’s easier than you might think to build and use a chatbot. Chatbot technology helps you engage with your ideal prospects and keep the conversation going in order to convert them into a client. Why chatbots are better than other methods of prospecting. #1 mistake agencies make using chatbots. Should you add chatbot building as a service? 2 easy steps to get started using chatbots. Today I talked with Andrew Warner, Founder, and CEO of Mixergy, a development resource for entrepreneurs. He’s also the founder of Bot Academy. Andrew built his first company to over $30 million in sales and sold it. He started Mixergy to help business owners, by interviewing successful entrepreneurs and learning how they built their businesses. After learning about chatbots and eventually becoming an angel investor, he immediately knew chatbots were going to change the way we do business. He shares the potential that comes from using chatbots to generate new agency business. Email isn’t working like it used to. Inboxes are flooded and we are learning that people love instant messaging or chats instead. People like to engage with communication apps. Chatbots are the ideal tool to educate, build trust, and nurture a relationship from prospect-stage to client-stage. Think about your Contact Page. People can come to it and ask a question… they want to know if you can help them. Then they have to wait for a response and that is it. That’s the end of it. With a chatbot, there is potential for further engagement. A potential customer can ask questions while the chatbot is also garnering information. After the chatbot interaction, your agency can also follow up and engage. A relationship is formed and can be nurtured over time. The change can be as simple as moving from a form, which is transactional in nature, to a chatbot that is more of a relationship-builder. A chatbot allows businesses to connect with their customers. Right now very few agencies are using chatbots, and even fewer are offering chatbot building as a service. Your agency can get in on this early on. Don’t try to have your chatbot do too much! While it can be exciting to jump out of the gate with new ideas, remember chatbots are still relatively new to the receiver and you don’t want to overwhelm them. You can test my ‘bot here. You’ll see I only use it to qualify the prospect and determine who I’m talking to by asking 2-3 questions. Then a live person jumps in to keep the conversation going. In addition to using chatbots to generate new agency business, you might consider adding it as a service. Chatbot building might be a service to consider for bringing value-added to your clients. Andrew says a basic chatbot takes just minutes to make. He suggesting building one to present to your clients and let them play with it. Start by approaching your agency clients who already do email marketing well and show them how their current content would work with a ‘bot. Be sure to do it in person or via video conference, so you can get real-time reactions. Since chatbots are in the early stages, creating this add-on for clients might set your agency apart from the competition. You wouldn’t start building a website without doing some research, so approach chatbot building the same way. Check out the chatbot built specifically for this podcast, here. Create a fake chatbot and go from there. Visit botlist.co to find a list of software for chatbot building. Play with different tools to see what works for your agency and it’s chatbot purposes. If you build your chatbot right, your agency will be able to know exactly where the audience is coming from. Generate leads for your agency by checking out Builtwith, to find out who’s using chatbots. Then use an email service, like Mailshake to send out mass emails (that don’t actually look like mass emails) as well as follow-ups, to start a chatbot conversation. Payroll and benefits are hard. Especially when you’re a small business. Gusto is making payroll, benefits, and HR easy for small businesses. You no longer have to be a big company to get great technology, great benefits, and great service to take care of your team.